You have been living, drifting on the surface. You have been living in the desert with only a sip here and a sip there. You have been waiting season after season for evidence of a fertile womb. the alive word will appear. Do not tire of promises. God's promises are the true living fabric of what He has called into being. no longer will you only have the reputation for being alive (Sardis), but you will be ALIVE and people who don't know Me will talk to each other about your LOVE. For many reasons we have chosen St. John the Baptist as the patron of our Center for Action and Contemplation. Our feast day is celebrated on June 24, as the sun (reminiscent of John 3:30) agrees to decrease. John the Baptist is the prophet who rejects the system without apology, eats the harsh food of that choice and wears the clothes of rejection. Like our native peoples here in New Mexico, he goes on his vision quest into the desert where he faces his aloneness, boredom and naked self. He returns with a message, a clarity, a surety of heart that reveals a totally surrendered man. First he listens long and self-forgetfully; then he speaks, acts and accepts the consequences. Surely he is the ultimate wild man! Or is it wise man? He is both. Faith is an orientation of the soul, not an accord with a collection of facts . Faith is not only the fact that we believe, but what we believe. God calls us to the former, and has given us the latter. Not all faith is good, not all religion is good. The truth in anything comes by the actions of the Word, Jesus Christ. He "enlightens every man that comes into the world." Mere faith is not true and living faith. Mere faith does not "orient" us to God, because mere faith has not the true God and His Revelation as its raison d'etre. Mere faith is not "an orientation of the soul." “Or else,” said Psyche, “they are real gods but don’t really do these things. Or even—mightn’t it be—they do these things and the things are not what they seem to be?" This Christmas season there has been something that has been gnawing away at me more than it has in other years. Like everyone else, I enjoy the nativity pageants: the children waving at their parents, re-inventing their lines (if they remember them at all), picking their noses, or dropping the baby Jesus on his head! Indeed some kids are true angels on the stage; while others we all know will become the future Jim Carries of entertainment, like one of the kids I saw at the Catholic elementary school concert this week playing an unscripted role of a ‘donkey’ without the costume! It has become glaringly obvious in my own experience that I cannot seem to attach myself to any one social cause or endeavor. As a pastor who wants to live with eyes wide open, I see things that prod my compassion into fight mode. Yet even though I often take steps onto various battlefields, I find myself once again poling my boat out into the great river of suffering looking for that one beachhead upon which I am supposed to sacrifice myself. I first experienced Meg Tilly via her Golden Globe winning onscreen portrayal of an enigmatic young nun named Sister Agnes (Agnes of God, 1985). Her mysterious encounters with God trigger investigator Dr. Martha Livingstone (Jane Fonda) into a spiritual crisis which may just lead her back to faith. The providential interface between Agnes’ spirituality and Livingstone’s cynicism impacted me. It mirrored my own internal struggles as a young theology student whose heart and head were plagued by a serious disconnect. Twenty years later, it’s happening again. 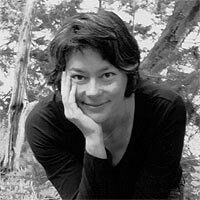 Meg Tilly left the acting trade to pick up the novelist’s pen. I’ve only just discovered her body of work and I’m pleased to say that I have not emerged unscathed. In each of her first three books—Singing Songs, Gemma and Porcupine—we hear the authentic voice and feel the true heart of courageous young girls who reflect some aspect of Tilly’s reality. The stories reveal an acquaintance with grief and fight and hope that are deeper than fiction. They have the capacity to heal.